The national anthem of South Africa is a shortened, combined version of “Nkosi Sikelel’ iAfrika” (God Bless Africa) and “The Call of South Africa” (known in Afrikaans as “Die Stem van Suid Afrika”). A proclamation issued by the State President on 20 April, 1994 stipulated that both Nkosi Sikelel’ iAfrika and Die Stem would be the national anthems of South Africa. The combined anthem came into effect on October, 1997, after the English words were added and the musical re-arrangement done by Jeanne Rudolph. In the national anthem the first verse is performed in Xhosa (first two lines) and Zulu (third and fourth lines). The second verse is performed in Sesotho. The combination of several languages has been a challenge from the onset. 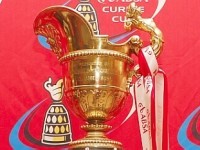 For the 1995 Rugby World Cup, Morné du Plessis suggested that the Springboks learn the “black” half of the new anthem, and “they did so with great feeling”, according to their instructor Anne Munnik. Occasionally, the difficulties caused public embarrassment. At a rugby test match between France and South Africa in November 2009, Ras Dumisani performed the South African national anthem, singing off-key and not knowing all the words. On the 23 August 2011, Ard Matthews suffered a similar fate on national television, when he was asked to perform the anthem at the announcement of the Springbok World Cup team. He posted a public apology and vowed to go forward and continue to sing the anthem correctly whenever opportunity arises. Enoch Sontonga, a Methodist school teacher, wrote the first verse and chorus and also composed the music in “Nkosi Sikelel’ iAfrika” as a hymn in 1897. Sontonga wrote the first verse in Xhosa. Samuel Mqhayi, a poet, contributed seven additional verses, also in Xhosa. ‘Nkosi Sikelel’ iAfrika’ was publicly performed in 1899 for the first time. In 1927 the Lovedale Press, in the Eastern Cape, published all the verses in a pamphlet form. In 1942, Moses Mphahlele published a Sesotho version of the hymn. Nkosi Sikelel’ iAfrika was further popularised by Reverend JL Dube’s Ohlange Zulu Choir and the hymn proved to be a hit in church services across South Africa. At the first meeting of the South African Native National Congress (SANNC), the forerunner of the African National Congress (ANC), Nkosi Sikelel’ iAfrika was immediately sung after the closing prayer. In 1925 the ANC officially adopted it as a closing anthem for its meetings. It was later adopted as an anthem at political meetings and sung as an act of defiance during the Apartheid years. 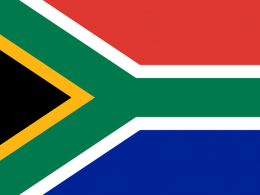 It became known as the unofficial national anthem of South Africa. Die Stem van Suid Afrika is a poem written by Cornelis Jacobus (C.J.) Langenhoven in 1918. In 1919 a Cape newspaper, “Die Burger”, sponsored a competition for the music, but initial attempts were unsatisfactory to Langenhoven. Suitable music was ultimately supplied by by Marthinus de Villiers in 1921. It was first sung publicly at the official hoisting of the national flag in Cape Town in 1928 and was further popularised when the South African Broadcasting Corporation (SABC) began to close its daily broadcasts with both “God Save the King” and “Die Stem”. In 1936 the “Federasie van Afrikaanse Kultuurverenigings”, unanimously selected the poem by Langenhoven and the music of de Villiers as the winners of a competition to find the best lyrics and music for an official National Anthem. In 1952, an English translation was selected from more than 220 submissions. It was only in 1957, however, that the government acquired the copyright and accepted “Die Stem” as the official National Anthem of South Africa.